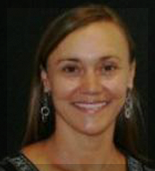 Dr. Eva Monsma earned her doctorate from the Sport Psychology program at Michigan State University. She is a professor in the Department of Physical Education at the University of South Carolina and has taught sport psychology, growth and motor development and coaching classes since 1998. Dr. Monsma has over 100 publications and serves on the editorial board of The Sport Psychologist, the Journal of Imagery Research in Sport and Dance, and Women in Sport and Physical Activity Journal. Her clients include collegiate and high school athletes, dancers and business professionals, and she has expertise in bio banding, athlete selection and talent identification systems. Dr. Monsma is a former figure skater and collegiate coach now based in the Columbia, South Carolina area where she provides services in-person and globally using video conferencing.